We make all that you need to complete your flooring project! Synfonia Floors features a complete set of transitions for every project requires it. We can color match your flooring transitions per your request. We can also produce Stair Riser and Treads in any width or length for your custom stairs to match the finish of your flooring. 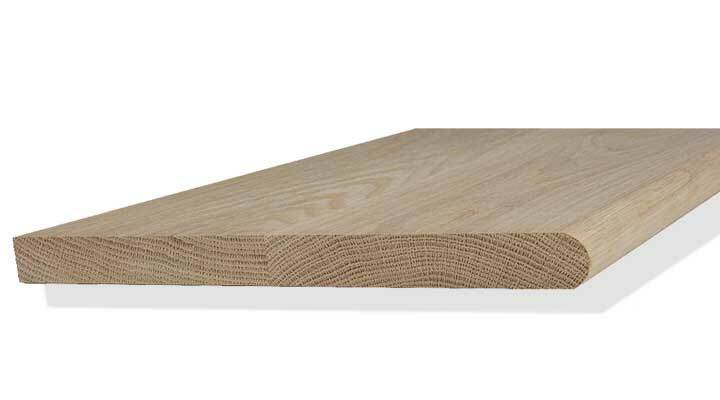 Commonly used against solid objects such as sliding doors or other areas where a common quarter round would be aesthetically pleasing; also as vertical height flush reducer from material to other floor coverings such as vinyl and carpeting. 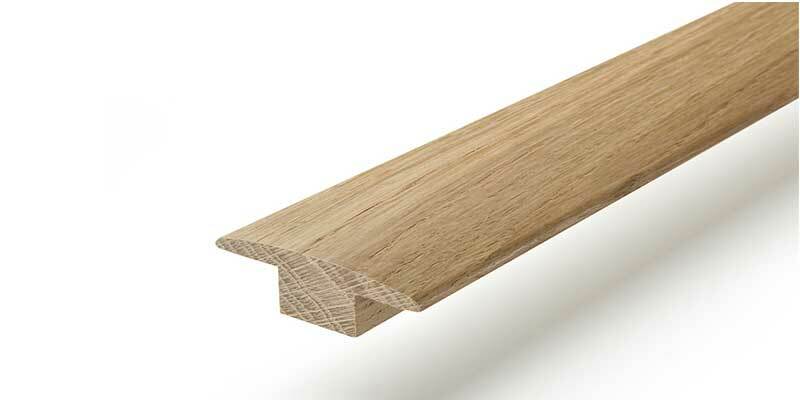 Also used at sliding door areas. 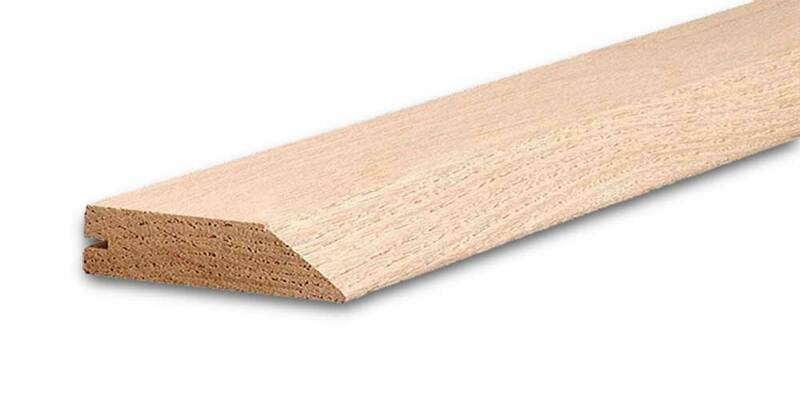 This is the most versatile trim piece that can be adapted with the use of a table saw. 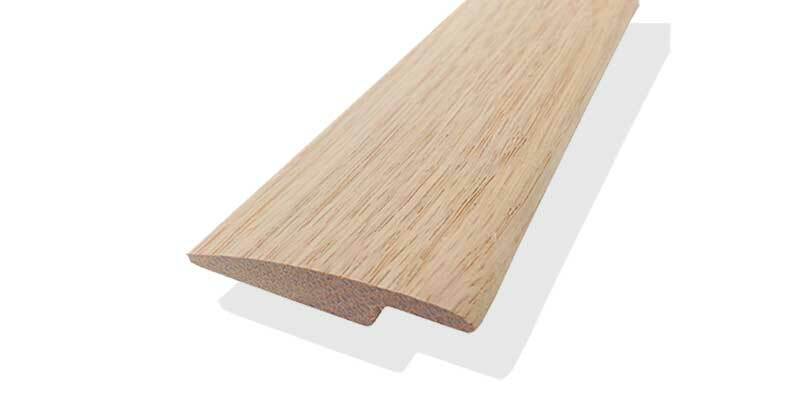 It is primarily used for floor coverings with a slight difference in vertical height. Used to transition from one floor covering to another, typically from wood to ceramic tile with the same vertical height. 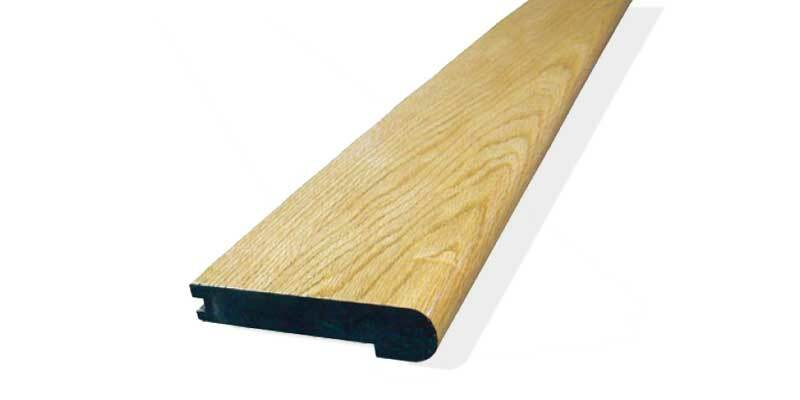 Commonly used for floating floors or engineered products over 1/2" in thickness that transition to other floor coverings of lower vertical height such as carpet, ceramic tile, and vinyl. Not all manufacturers make this threshold. Used for step construction when using plank or strip. This is the most cost effective way to build your steps. Using a Bull Nosing and your flooring material your installer can create a beautiful stairway in no time. All your flooring transitions could be matched to your flooring finish. This is the part of the stairway that is mostly used and stepped on. Generally it is made of the same material as your flooring. The tread "depth" is measured from the outer edge of the step to the vertical "riser" between steps. The "width" is measured from one side of the steps to the other. In order to make you flooring project effortless we produce the Treads & Risers in your desired finish as per your request.